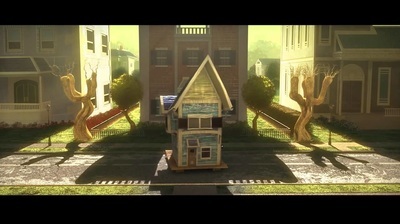 2013 Supinfocom animation Home Sweet Home has a stunning visual style and moving narrative. Directors Pierre Clenet, Alejandro Diaz, Romain Mazevet and Stéphane Paccolat have created a beautiful and touching animation. This is the story of a house which escapes from its suburban foundations and sets off on an epic journey. 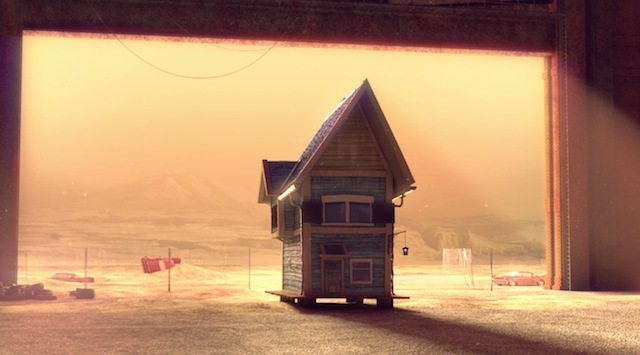 Tackling themes of friendship, travelling and death in its 10-minute duration, Home Sweet Home combines elements of road-trip, apocalyptic and friendship narratives in its story of a couple houses travelling across America. The story is set in a universe where humans no longer exist (or perhaps just aren’t seen), the Home Sweet Home team do a great job of attaching emotion and personality to their 4-walled characters. It is quite light hearted considering the themes in the narrative of friendship and at the end of the film, death. The film's makers were inspired by photographs of the derelict Detroit housing projects, pictures of this can be found at the bottom of the page. Show images of the different houses, do they have different personalities? What do they think as our hero, Blue house, walks past? Stop the film at different points and write the conversation between characters - for example what are they saying to each other when they are under the bridge in the rain? What do they say to each other at the end when Blue leaves Garage on the beach? What is Blue thinking when he sees the big White house at 2m 40 secs? Describe this house, maybe like we would describe a beautiful princess. Write instructions or an explanation detailing how to look after a pet kennel. 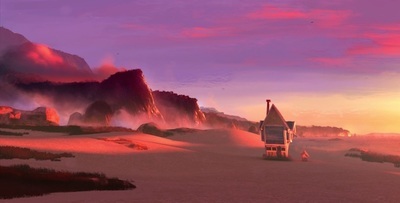 Lots of examples of beautiful settings for description. The end - Does Blue just leave garage on the beach? Why? Is garage happy? Write an alternative ending - where does Blue go next? Who does he meet?